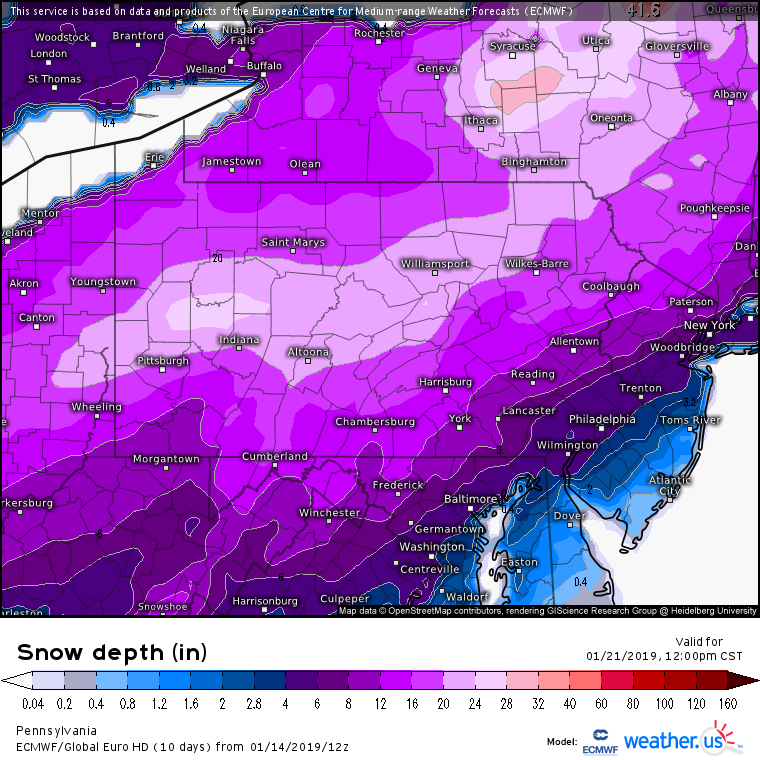 Heavy Snow….Cat 4 Big Daddy Scale Potential! 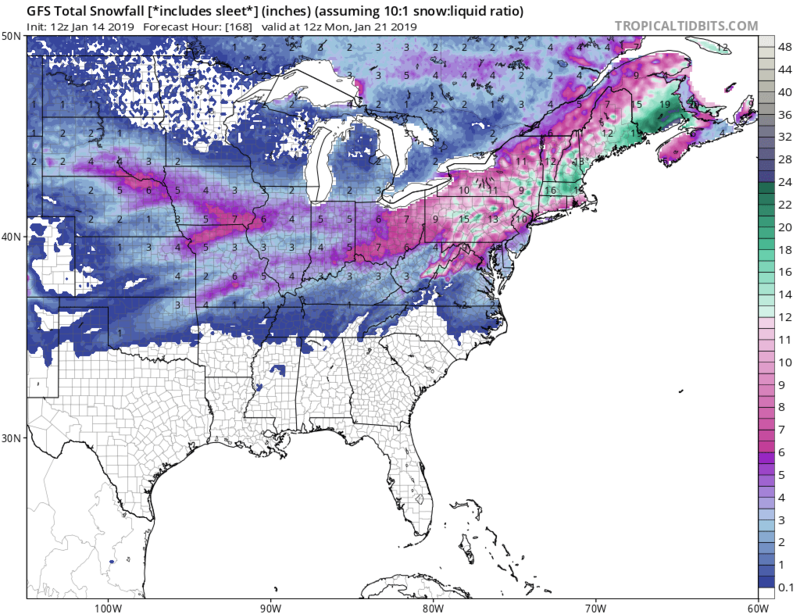 The snowstorm that is coming this weekend will occur after a 1-6 inches snowstorm moves through the Midwest and Northeast Thursday and Friday. 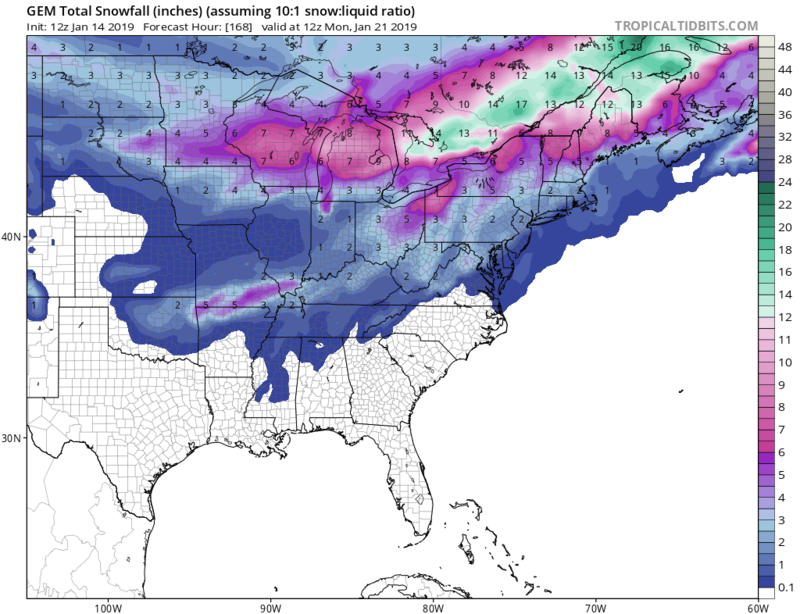 Models are showing more snowstorms coming next week and some could be big ones. 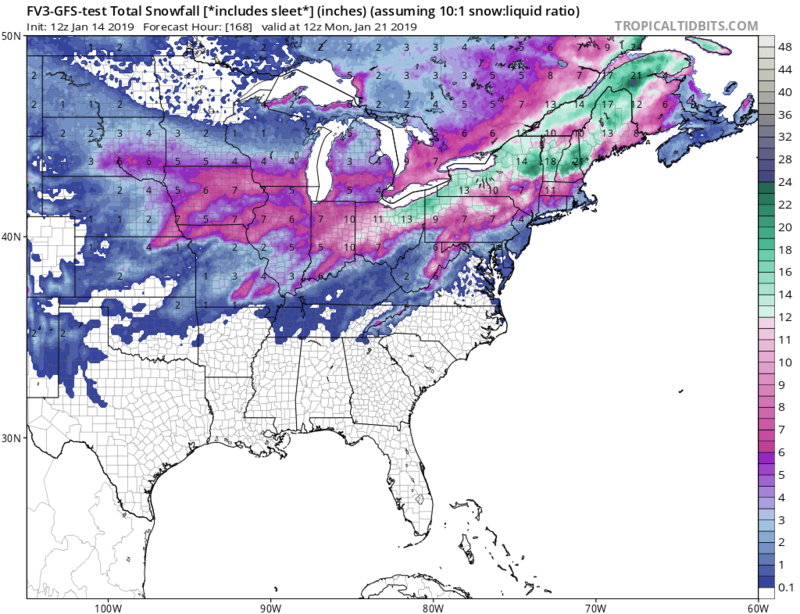 Below are the snow maps that I showed in the video While there are some differences, the good news is that the ECMWF and GFS are in agreement. Is this up coming pattern related to the NAO going negative?